Whether you’re looking to scale social impressions or create personalized connections with micro influencers, you’ll find Cohley Creators that align with your brand-specific goals and budget level. No more wasting time scouring Instagram recruiting influencers! Cohley Creators will apply to work with your brand, so you‘ll be vetting through influencers who are already interested in partnering on your specified campaign deliverables. Rest assured that you'll have full insight into each influencer's Instagram profile, engagement rate, and Audience Credibility Score, ensuring that fake followers won't rain on your parade. Click here to learn more about Cohley Creators. Understand performance on macro and micro levels to make reporting on key metrics a breeze with the close guidance of your dedicated Digital Strategist. Measure important KPIs like campaign engagement rate, media value, asset value and overall ROI with an automated reporting system in Cohley. 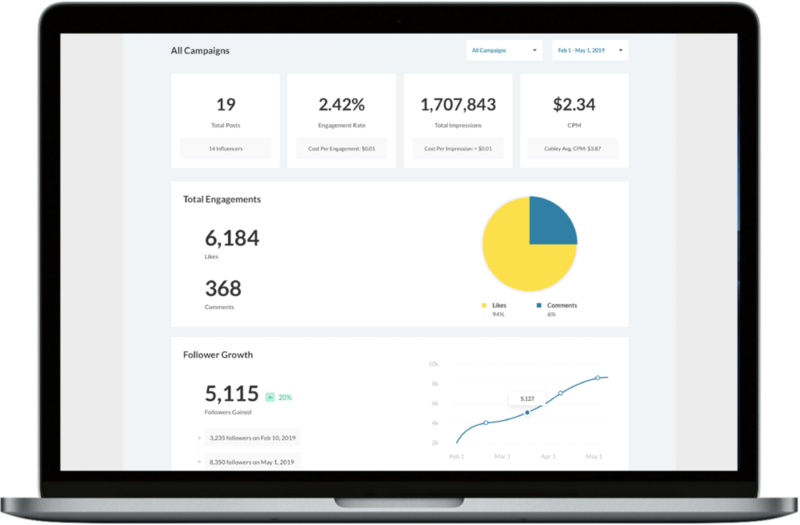 View holistic campaign results and identify top performers and long-term brand ambassadors with performance breakdowns of individual social posts. 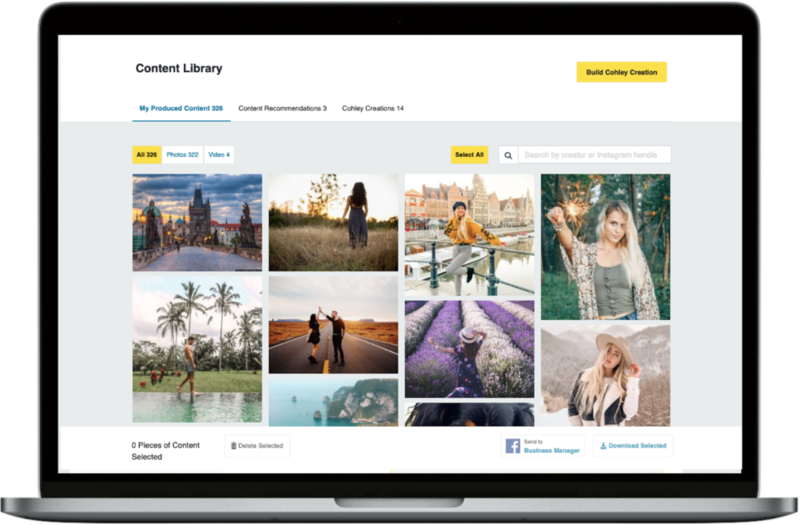 Organize your rights-approved photos and videos in a central Content Library and reactivate those assets on social media channels, on your site and in social ads. Leverage Cohley's personalized Content Recommendations within the Content Library to identify your top-performing posts, and utilize the Stage Management and SmartMatch tools to make more intelligent, data-driven decisions.